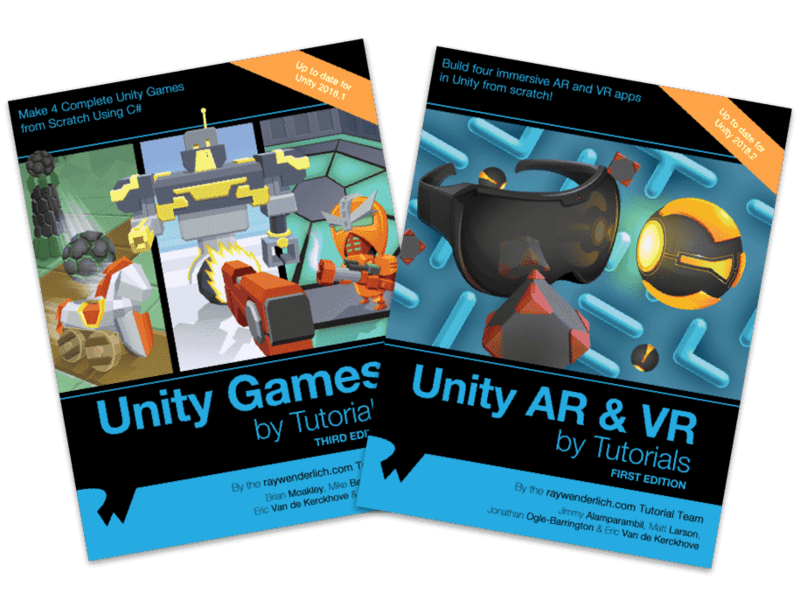 Learn how to make awesome AR and VR games! The world of augmented and virtual reality has grown so much in just a few years. There are lots of options available to game developers, including the HTC Vive, Oculus Rift, HoloLens, ARKit, ARCore, Windows Mixed Reality, and more! But documentation on all these technologies can be spread far and wide and difficult to understand. That’s where Unity AR & VR by Tutorials comes in! 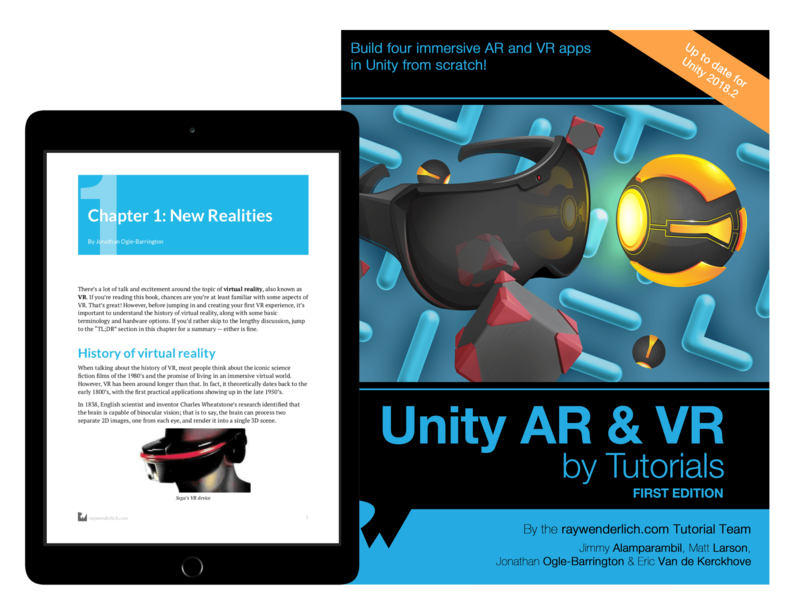 This book is for both beginner and intermediate Unity developers interested in AR and VR, who already have some experience working inside Unity with C##. ARFoundation: Take advantage of the higher-level functionality in this framework to make integrating lower-level AR APIs into your Unity projects much easier. HTC Vive: Learn how to use the HTC Vive in your games. Oculus Rift : Explore the possibilities of the Oculus rift in your VR environments. VRTK: Learn how to use this framework to leverage your assets and code on multiple headsets and technologies. Windows Mixed Reality: Learn how to create a virtual pet game in mixed reality from scratch. And much more, including the history of AR and VR, how to avoid motion sickness in your games, and how to create fluid user UI! After reading this book, you will have all of the tools you need to create amazing, immersive AR and VR and use them on the major hardware platforms available today. The best Unity book for beginners! 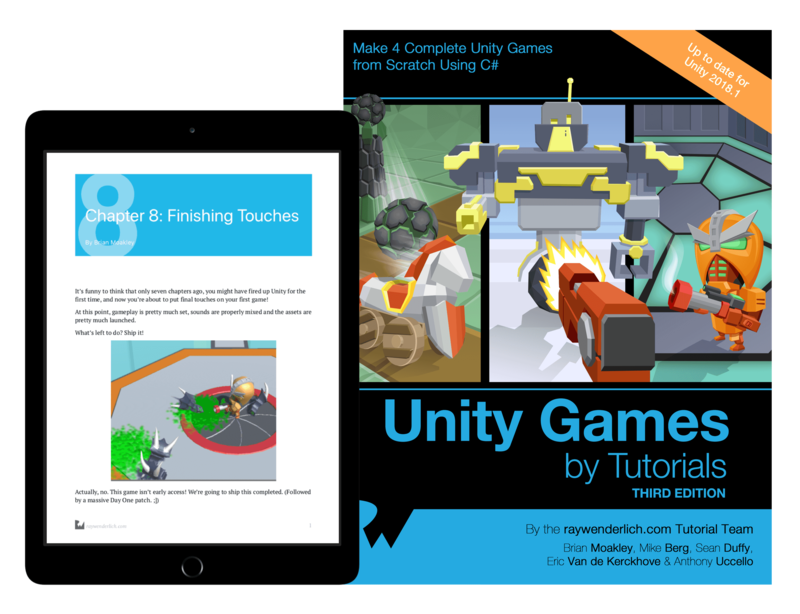 Create 4 complete Unity games for scratch, including a first-person shooter, a tower defense game, and more. Unity is a popular cross-platform game engine used to create games like City Skylines, Hearthstone, the Long Dark, and more. Read this book to learn Unity and make the game of your dreams! Next articleThe Cost of Useless Surrogate Keys in Relationship Tables – Java, SQL and jOOQ.